Trusted. Locally Owned & Operated. 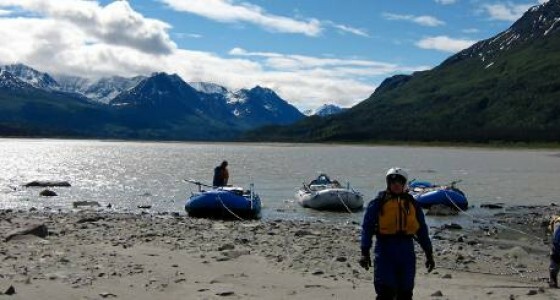 Your Alaska River Adventures Provider. 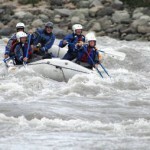 Alaska River Adventures in the heart of the Wrangell Mountains! 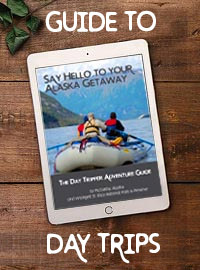 Give the Gift of Alaska Adventure! 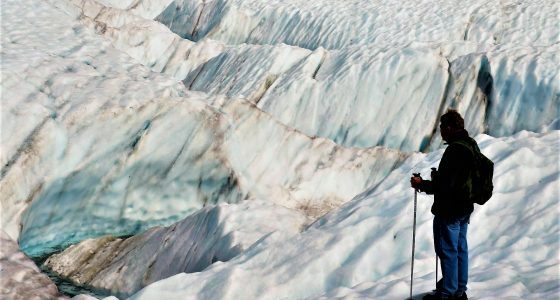 Why not make 2019 about adventure and experiences of a lifetime? 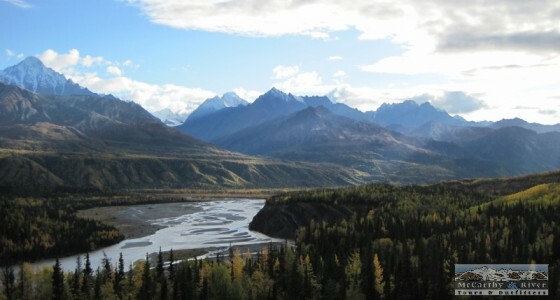 Wrangell St. Elias National Park & Preserve surrounds historic McCarthy, Alaska. This national park, the largest in the entire USA, contains some of the highest concentration of glaciers and 16,000 foot mountains in the world. Only two roads offer access into this wild land so the best way to see most of the surrounding beauty is by floating the river waterways. 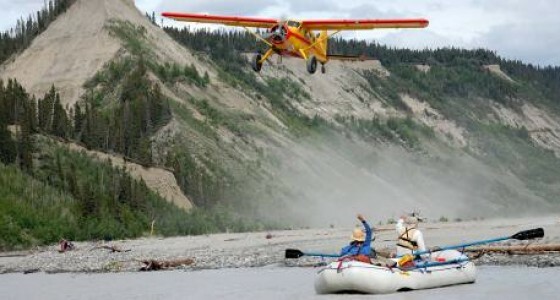 Fly in to remote glacier lakes and float through icebergs to the river mouth, or land on a cobble bar along the rivers edge, nothing compares with the thrill of rafting these Alaska Rivers without seeing another soul for days on end. 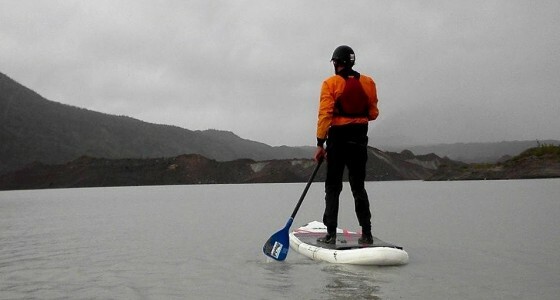 Drysuits for All River Adventures! We are proud to be the first company in the Wrangell Mountains to offer both dry-suits and helmets to all of our customers. 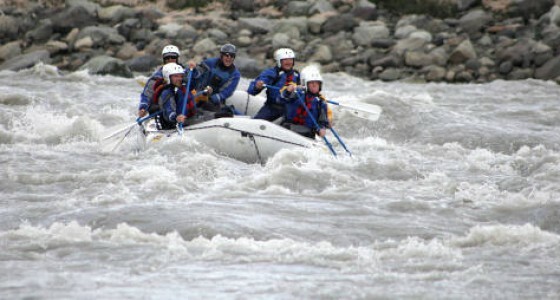 Your safety is our number one priority at McCarthy River Tours & Outfitters. 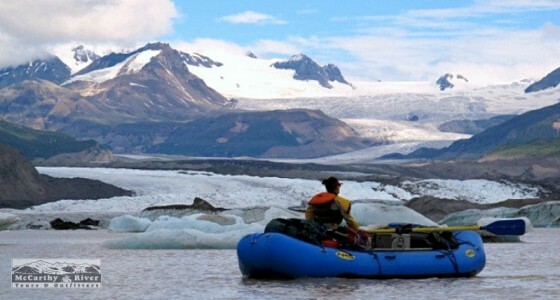 Alaska’s glacier-fed rivers are mighty cold; drysuits mean you stay comfortable, dry and yes – you can even choose to jump into these amazing rivers! (Watch the video!) 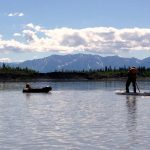 We seek out the best guides, with experience boating whitewater rivers around the world, all trained in wilderness medicine, and excited to be here in Alaska. You can be assured that you are in good hands! 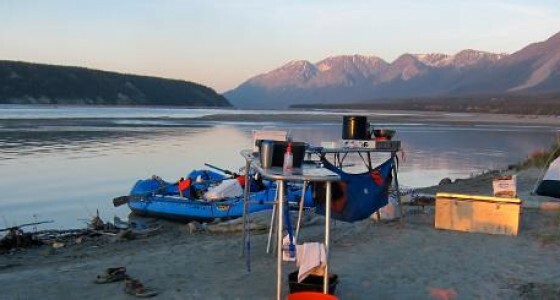 Wilderness Gourmet Meals – Alaskan Style. Along with safety, we also offer the highest quality meals for your enjoyment and comfort. We do our best to source our food supplies and find Alaska produced meats and vegetables to compliment the surrounding beauty of the land. All of our guides are culinary experts in wilderness cooking and take pride in the river side feast. What could be more enjoyable than settling that fresh salmon dinner with some perfectly baked Dutch Oven brownies? 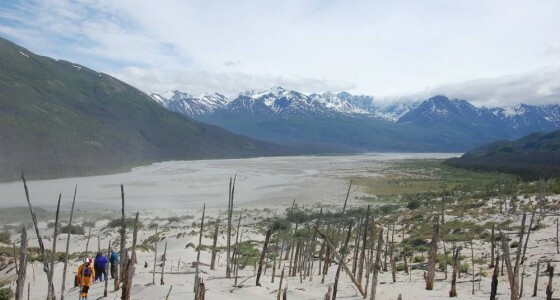 Alaska, or “The Great Land,” is America’s last great frontier. 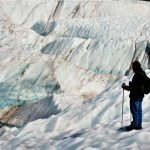 Rugged mountains, hanging glaciers, and abundant wildlife are all on display in this rugged, remote land. Alaska is over 1/5th the size of the continental United States with a year round population well under one million people, the wildness here is on a scale unparalleled anywhere else! Want to know more? 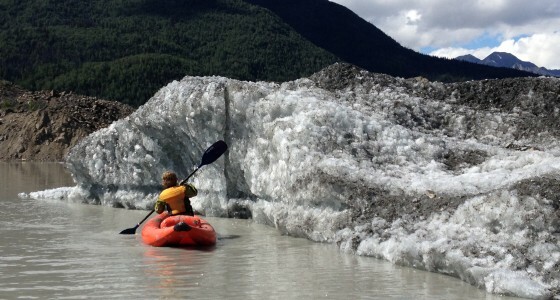 Start here exploring your Alaskan adventure trip options. We look forward to seeing you here in McCarthy Alaska, in the heart of the Wrangell Mountains. 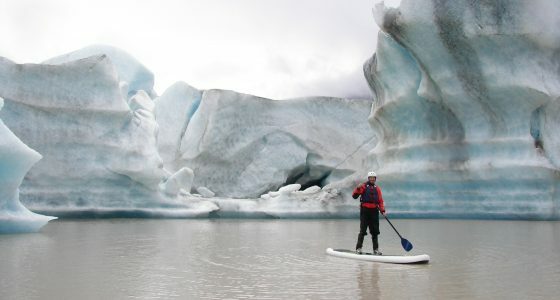 Where the journey getting here is absolutely a spectacular part of your Alaska destination adventure! 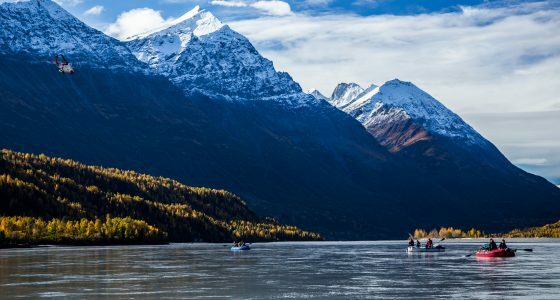 Ready to Check Alaska Off Your Bucket List? Download this free 20-Page Guide for a look at the day trip adventures you can jump on while in McCarthy! 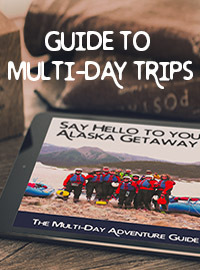 Download this free 33-Page Guide for a look into what to expect on a multi-day trip unlike anything you've done before. Group Trips Launch June 6 (7 Days), July 13 (6 Days), August 12 (7 Days). Custom Dates also Available. 3 Day trips launch daily June 6 to August 31, 4 Day Trips Launch Every Tuesday and Friday All Summer. Call Us To Book Your Custom Trip! Our Time with McCarthy River Tours & Outfitters Was Unbelievable! 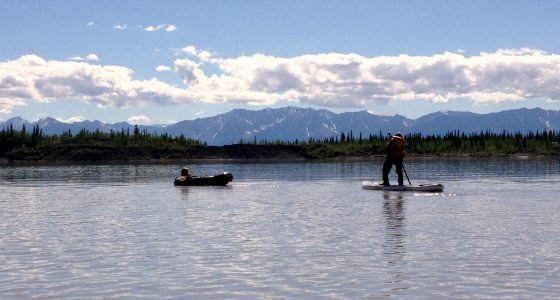 For my first Alaska River Trip, McCarthy River Tours took us on a journey we will never forget. From the Wild Alaska Salmon night, drysuits for comfort and safety, and stories of the Alaskan Copper Rush my husband and I were amazed everyday at the Wildnest of this Adventure. We had a great time, got more than our fill of adventure and saw some of the most incredible wilderness I’ve been exposed to in a long long time. Thanks so much for everything! Whilst our guides cooked, we put up our tents and explored the area, gathering wood for our nightly camp fire. 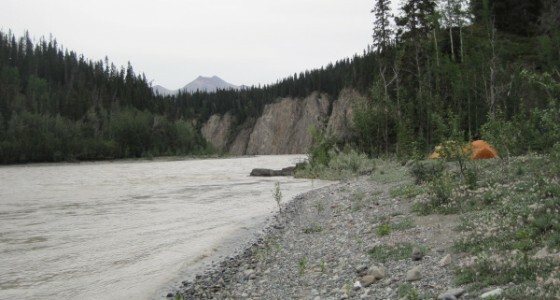 We enjoyed rivers with salmon; drift wood piles like sculptures; animal tracks and stunning views. We will truly remember these 4 days as one of the best trips ever.